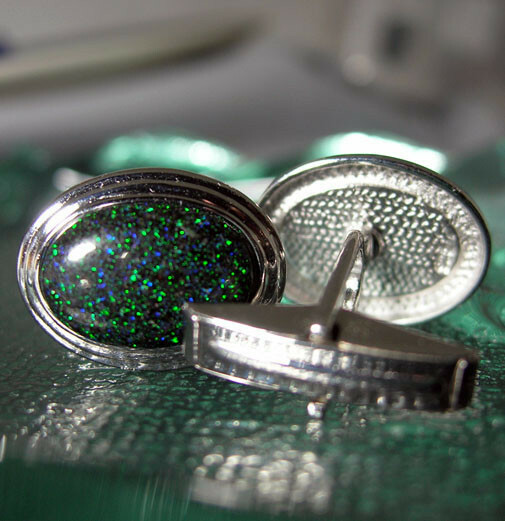 Combining Luxurious Designer Quality and Functionality these Cufflinks feature our AAA Grade Quality Fairy Opal in sandstone matrix. 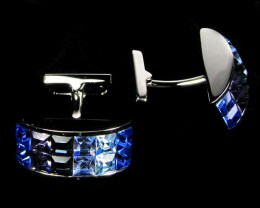 925 Silver is Rhodium plated for that extra lasting shine. Incorporated is the stylish swivel back. 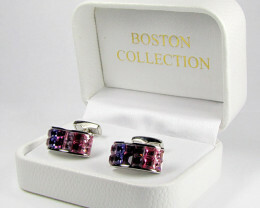 Sure to be a perfect fit and look Great no matter what the occassion! Gem Description: AAA Grade Quality opal in sandstone matrix also known as Fairy Opal matrix, Rainbow Opal matrix & Mass Opal. 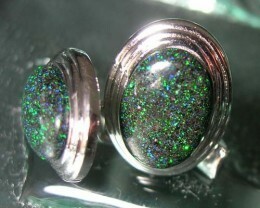 Sparkling Multicolour Gem Flecks throughout the stone. Quality Cut and Fine Finish. What is Sandstone Opal Matrix? Naturaly formed sandstone opal matrix is Precious Opal flecks dispersed throughout an earthy orange ferruginous sandstone. 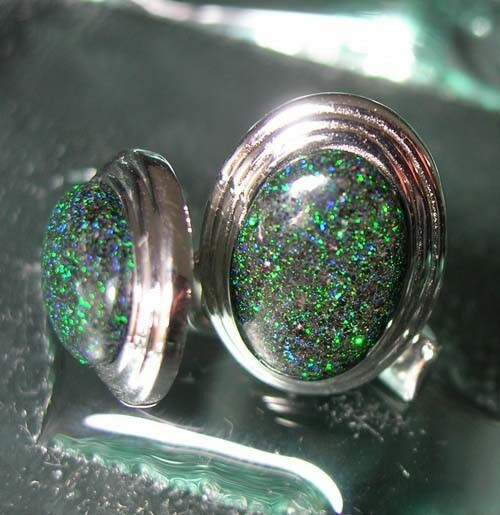 Why is sandstone opal matrix treated? 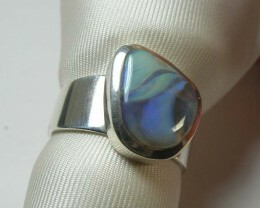 By enhancing the host sandstone gives a greater contrast thus the visability of the precious opal colors is greater. 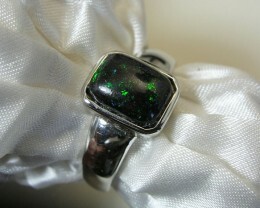 Once treated some stones have the appearance of top gem quality black opal particularly the ones with distinct patterns. 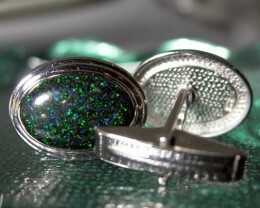 they are also similar in appearance to Honduran (basalt) matrix and gem Andamooka (concrete) matrix, Even Nicer! 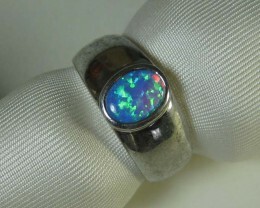 How is sandstone opal matrix treated? 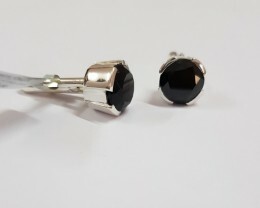 The treatment is done by cooking the stone in sugar, the sugar is carbonized giving the host stone a darker or black background, only the matrix is carbonised not the precious opal it is then stabilized with inert chemical product this also strengthens the stone up to ten times. The sandstone absorbs the treatmeant all the way through, so re-cutting a stone is not a problem, unlike with other treated opal matrix, you do not have to treat it again after cutting. 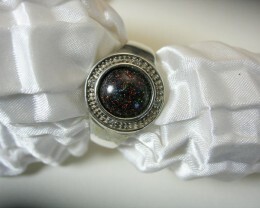 The opal matrix listed here is superior quality to most we have seen to date. It is a more compacted sandstone type and the flecks of precious opal are more concentrated. It takes a polish/ finish much better than the very porous types. 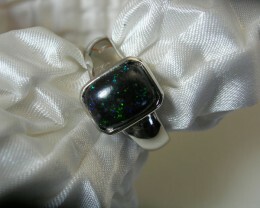 Sandstone opal matrix is not that new as a discovery it has been around for as long as boulder opal. 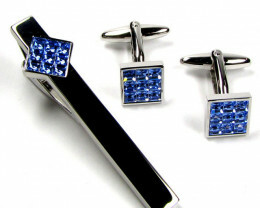 However, there are not many finished stones available because it is quite a tricky and tedious procedure to arrive at a quality finished product. We have now perfected this process and can offer a Quality finished product. So, if you would like a piece of opal that looks like a million for a fraction of the cost try these - you will be pleasantly amazed!